The fun just starts offroad! You are an e-biker and want to experience even more driving pleasure? Then a driving technique course with basics for the terrain is the best way. Here you will learn the most important movement sequences in order to be perfect and thus safe on the road. And that means: a better feeling on the bike and thus more driving pleasure! Because the bike fun begins where the asphalt stops! We teach you in a compact MTB driving technique course important movements, methodically, professionally taught and give you important building blocks on the way to feel even more flow in the future. 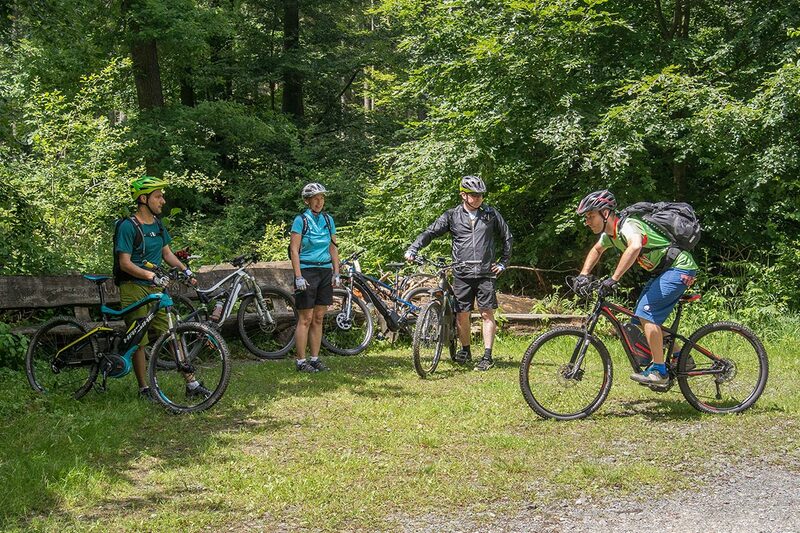 Goal-safe bike mastery in the typical mountain terrain is the target focus of the course. Terms such as basic and active position, activated range, correct shift and brake technology, as well as the safe start on mountain and slope are here the teaching content. 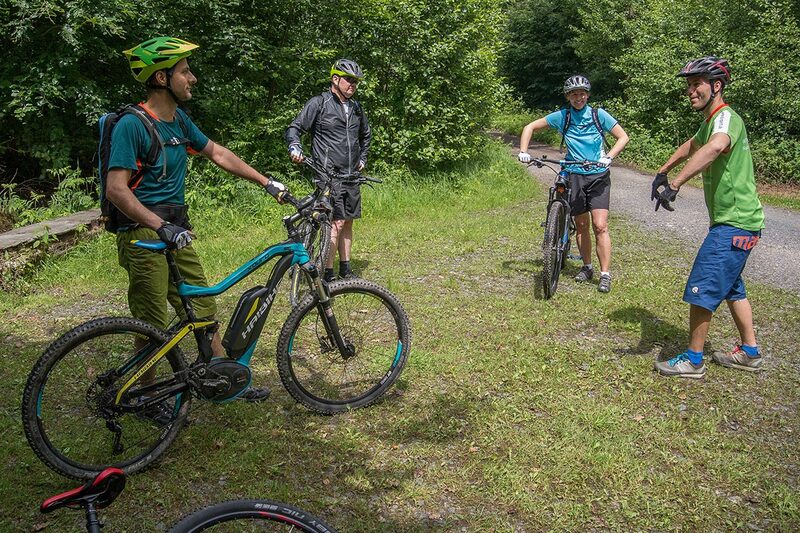 This is our course offer for all e-mountain bikers who have several months of driving experience in the field and have already completed an MTB driving technique course. The basics of MTB driving technique are repeated only briefly, before we deal with the advanced driving technique. Contents of the course are: targeting and emergency braking in the area, balance technique & track stand, cornering technique (gaze, turning and laying technique) and the targeted loading and unloading of the front and rear wheel. For practicing we have an ambitious terrain available: the off-road park at the Nürburgring. Here’s the point! Roots, stones, loose ground, steep slopes, narrow, sharp turns. 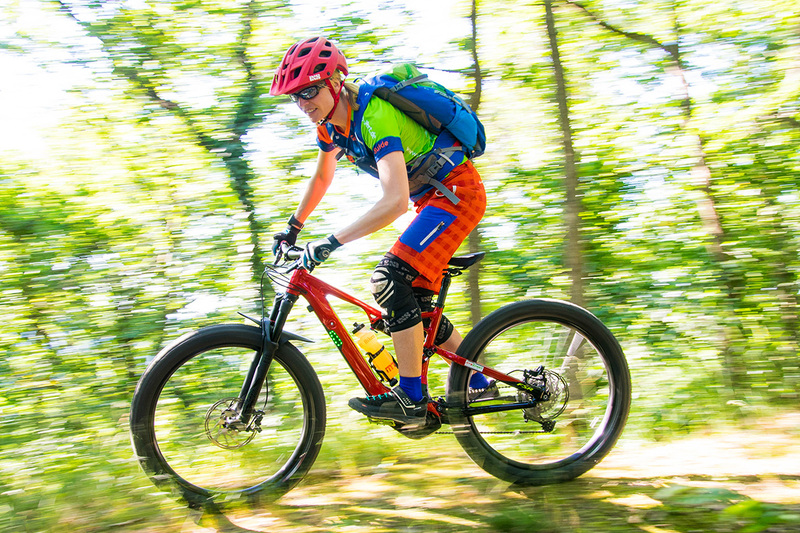 Here you are technically challenged and can learn the border area of ​​e-mountain biking accompanied by a trained and qualified driving technique trainer. We look forward to seeing you!